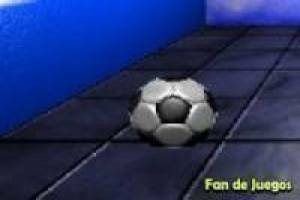 You are in a room where you can improve your handling with the soccer ball. In this game it consists of kicking the ball but bouncing off the white rectangle to get points. You have to use the mouse of the PC to hit the ball and give it a good effect so that it hits inside the rectangle and add a point to your marker. You will have thirty seconds available to score as many points as you can by throwing the ball and bouncing it inside the box. Set your own personal record and try to overcome it in the following 3D ball training games. Challenge your friends to overcome your score by sharing the game with them. Enjoy the game 3d ball training, it's free, it's one of our sports games we've selected.